The distance between Amsterdam and Los Angeles spans 5,550 miles. Despite that physical separation, the cities share quite a bit in common, remaining creative hotbeds for their respective continents. Both locations fortified the foundation of YELLOW CLAW’s second full-length album, the appropriately titled LOS AMSTERDAM (Mad Decent). For the first time, the Dutch electronic duo—Jim Aasgier and Nizzle—enjoyed an extended stay in the City of Angels in order to write and record before heading back to Amsterdam to fine-tune their compositions throughout 2016. The process mirrors the musicians’ distinct sonic alchemy, fusing elements of European dancefloor panache and gritty American trap seamlessly. Along the way, Rolling Stone named them among “10 Artists You Need To Know” as they received further acclaim from SPIN, Dancing Astronaut and many more. They’ve enamored audiences everywhere from Tomorrowland and Ultra Music Festival to Coachella, Bonnaroo, EDC Las Vegas and Jack Ü’s New Year’s Eve at Madison Square Garden. By the time the boys headed to Los Angeles early 2016 to begin work on LOS AMSTERDAM, the vision for their next evolution had come into focus. 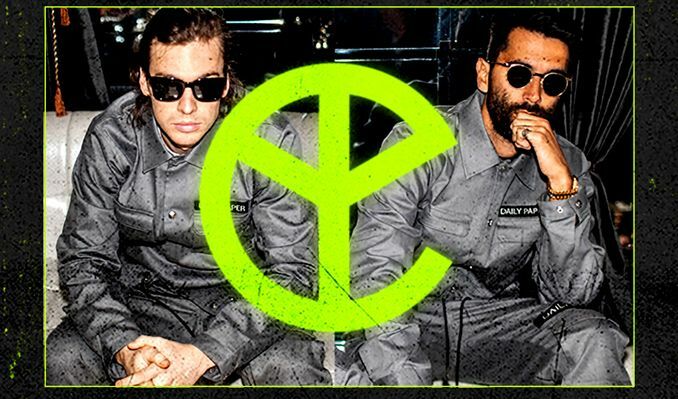 In late 2016, YELLOW CLAW teased out the impending full-length with two Yade Lauren collaborations: “Invitation” and “Love & War.” Propelled by the group’s propulsive production and the singer’s heavenly delivery, “Invitation” clocked 19 million Spotify streams, while “Love & War” amassed 14.6 million in less than a month and landed on the Huffington Post’s “Top 10 Workout Songs for January 2017.” With robust hooks and palpable energy, the new music reflects a conscious progression. Elsewhere, “Open” (feat. Moski & Jonna Fraser) volleys between dream synths and an ethereal chant, while the shimmering “Light Years” (feat. Rochelle) beams an iridescent energy all its own. Then, there’s the powerhouse “Stacks” (feat. Quavo, Tinie Tempah & Cesqaux). The bombastic soundscape provides the perfect landscape for Quavo of Migos and Tinie Tempah to turn up with inimitable bars and an ear-catching refrain. Ultimately, Los Amsterdam is the destination for electronic music in 2017. YELLOW CLAW’s Los Amsterdam will be released March 31, 2017 on Mad Decent.